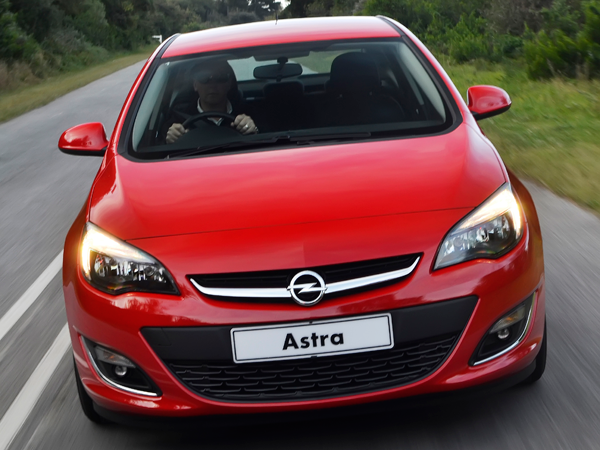 Opel South Africa has added the sedan version of the Astra to its local line-up. Up front the new model looks similar to the Astra hatch, however, obviously the rear is quite different and the sedan is 230 mm longer than its hatchback stable mate. The Astra sedan also boasts a generous 460 litres of boot space which increases to 1 010 litres if you fold the rear seats flat. Buyers can choose from one of four modes comprising three different petrol engines and three transmissions. All models feature several safety features such as ESP (electronic stability programme), ABS brakes, six airbags, and Isofix child seat anchors. Essentia models have 17-inch alloy wheels, electric and heated side mirrors, a multifunction steering wheel, front and rear fog lights and halogen daytime running lights. On the inside there are front electric windows, a radio/CD player with USB, auxiliary and Bluetooth functionality, air conditioning, cruise control, seven speakers, a multi-info trip computer and remote central locking. The range-topping Turbo Cosmo model features all the same equipment, with the addition of 18-inch alloy wheels and chrome trimmings. However, this package also features leather upholstery, heated front seats, automatic dual-zone climate control, electric windows all round, hill-start assistance, rear parking sensors and a smart electronic parking brake. All models in the new Opel Astra range come standard with a five-year/120 000-km warranty and a five-year/90 000-km service plan with service intervals of 15 000 km. Average fuel consumption: 6,6 litres/100 km.